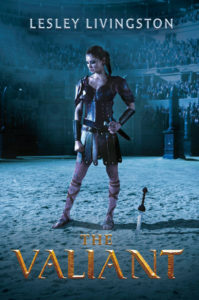 A richly-imagined, gripping historical fantasy for fans of Sarah J. Maas and Cinda Williams Chima, The Valiant recounts a seventeen-year-old’s tumultuous journey from fierce Celtic princess to legendary female gladiator and darling of the Roman empire. The youngest daughter of a proud Celtic king, Fallon has always lived in the shadow of her older sister Sorcha’s legendary reputation as a warrior. But when Fallon was a young child, the armies of Julius Caesar invaded the island of Britain and her beloved older sister was killed in battle. On the eve of her seventeenth birthday, Fallon is excited to follow in her sister’s footsteps and earn her rightful place in her father’s royal war band. She never gets the chance. Instead Fallon is captured by a band of ruthless brigands who sell her to an exclusive training school for female gladiators–and its most influential patron is none other than Julius Caesar himself. In a cruel twist of fate, Fallon’s worst enemy, the man who destroyed her family, might be her only hope of survival. Now, Fallon must overcome vicious rivalries, chilling threats, and the dangerous attention of Caesar himself to survive the deadly fights that take place both in and out of the arena – and claim her place in history among the Valiant. So I can pretty easily sum up my reasons for liking The Valiant. And if you know me well, you’ll know exactly what they are before I even list them for you. I am a huge, HUGE, historical fiction fan. Like give them all to me. I love everything about a well done historical fiction novel and The Valiant hits the ultimate sweet spot. I loved Fallon’s character. She is so feisty, and smart, and daring, and stubborn. I wish I could be as cool as Fallon. Seriously. If I had to be a gladiatrix at the same school, I’d be the one in the corner watching Fallon and wishing she as my friend. And I loved the twistiness of the plot. I really could not have predicted the ending, which is saying something, because normally I can usually predict one of the elements. Nope. This kept me on my toes, and I am so looking forward to the next one. AND an extra bonus one because it’s that good: the friendship between Elka and Fallon. I am such a sucker for supportive friendships between women. Especially in books and YA books. Suffice it to say, I really enjoyed this fun and historical read! Disclaimer: I received this book inn exchange for an honest review. You can go find this book on Amazon(US), your local indie, and add it to Goodreads. Lesley Livingston is an award-winning author of teen fiction, best known for her Wondrous Strange trilogy. 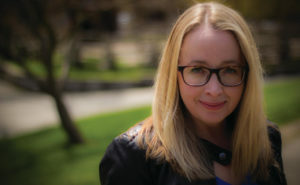 She holds a master’s degree in English from the University of Toronto and was a principal performer in a Shakespearean theater company, specializing in performances for teen audiences, for more than a decade. You're almost done! Please check your inbox or spam folder now to confirm your subscription so you don't miss out on any fun! !